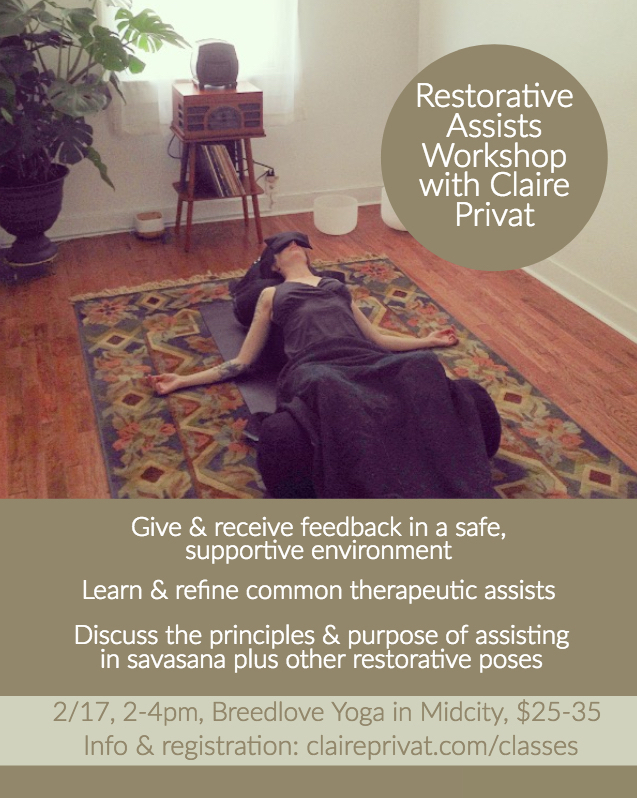 Breedlove Yoga NOLA: Workshop: Restorative Assists with Claire Privat! Workshop: Restorative Assists with Claire Privat! The right assist at the right time can totally transform your experience in restorative yoga. This workshop is for new and experienced yoga teachers who are looking for the opportunity to learn more about and practice therapeutic assists. Cost is sliding scale, $25-35. Pre-registration is required! To register, please click here. Two scholarships are available for BIPOC yoga teachers. Please reach out to Claire to register for the scholarship.